Former Georgia Democratic gubernatorial candidate Stacey Abrams admitted during an interview over the weekend that she's open to illegal aliens voting in local elections. This isn't a one-off comment. 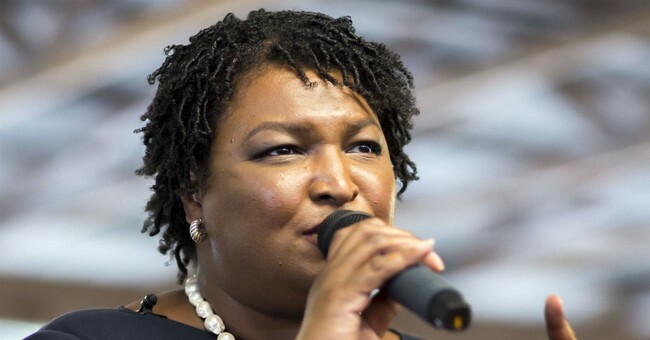 During her run for governor last fall, Abrams told a group of supporters that undocumented immigrants were going to help Democrats win the 2018 midterm elections. "The blue wave is African-American. It’s white, it’s Latino, it’s Asian Pacific Islander. It is disabled. It is differently abled. It is LGBTQ. It is law enforcement. It is veterans. It is made up of those who are told they are not worthy of being here, those who are documented and undocumented,” she said in October. After losing by a margin outside of a recount, Abrams refused to concede the race to then Secretary of State Brian Kemp. During her interview with PBS, she accused him of racism. Abrams is mulling a 2020 run for the U.S. Senate.